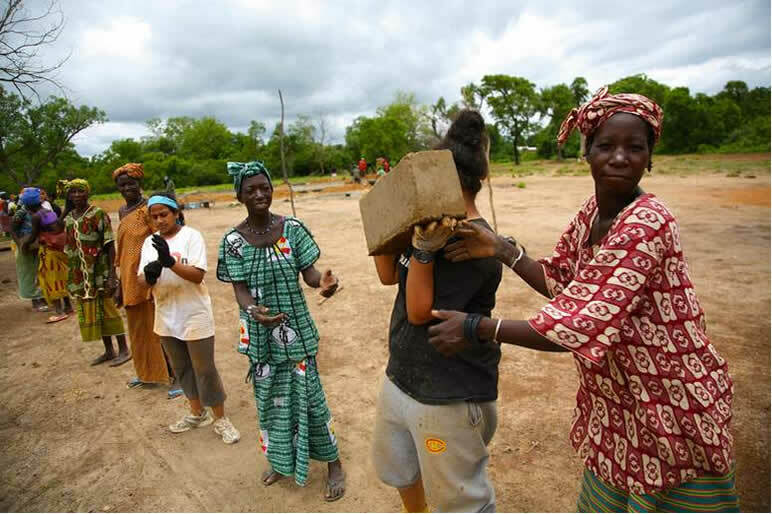 An overview of the 2013 Passports with a Purpose beneficiary, buildOn, and ways you can get involved with the organization's noble school-construction efforts. 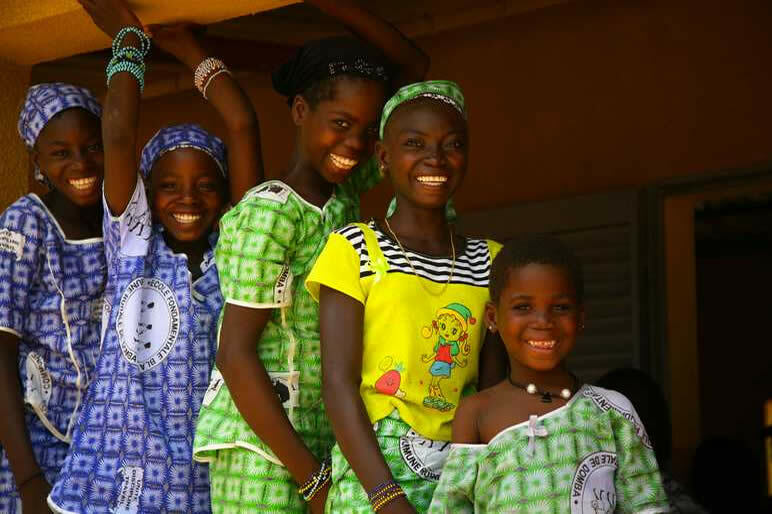 Passports with Purpose 2013 kicks off today with the goal of raising $115,000 for buildOn to construct three schools and fund three adult literacy programs in the Sikasso region of southern Mali, Africa. Mali is the world’s fifth poorest country. I’ve not been to Mali, yet I’m thrilled to be one of many travel bloggers helping to spread the word about PwP’s campaign. I have visited schools in Cambodia and Croatia, Indonesia and Laos, where we interacted with students of all ages with an intense hunger to learn. In some places, the path to getting an education for these young people was not easy. The high school students we met in the rural province of Takeo, Cambodia woke up before dawn to help their parents in the rice fields before going to school. After classes, they’d ride hand-me-down bicycles that were sometimes several sizes too large, traversing bumpy dirt roads to go to their teacher’s home, where she volunteered her time to teach them conversational English. They wouldn’t get home until the late evening hours, when they’d do several hours of homework and then prepare to do it all over again the next day. The situation was similar in rural Laos, where we met elementary and middle school-aged children in an after-school English class. In order to supplement their school studies, the children’s parents – who lived on $2 a day or less as rice farmers – diverted a fraction of their limited income to the extracurricular studies. During the rice harvest, the children would have to forego their English classes to assist their families, but when in class, they were disciplined, and ready to learn. While these are positive tales, I cannot forget the sad scenes we’ve witnessed, where because of an absence of a school, or a family’s inability to pay for education, we encountered children begging in the dusty streets of Phnom Penh or on jam-packed trains in Mumbai. When access to educational opportunities is not within reach, that’s where nonprofit organizations and everyday people like us can make a difference. What is Passports with Purpose? Passports with Purpose (PwP) is an annual, virtual fundraiser founded in 2008 that gives travel bloggers the opportunity to raise funds for the nonprofit organizations with which PwP partners. Last year, PwP raised an impressive $116,000 to help Water.org build five wells in Haiti. In previous years’ campaigns, PwP raised funds to help nonprofit organizations build libraries in Zambia, a school in Cambodia, and homes in southern India. 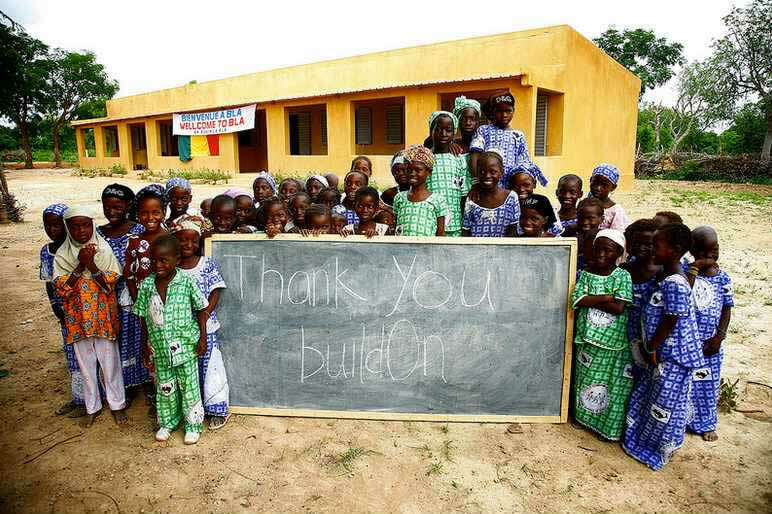 This year’s PwP recipient is buildOn. 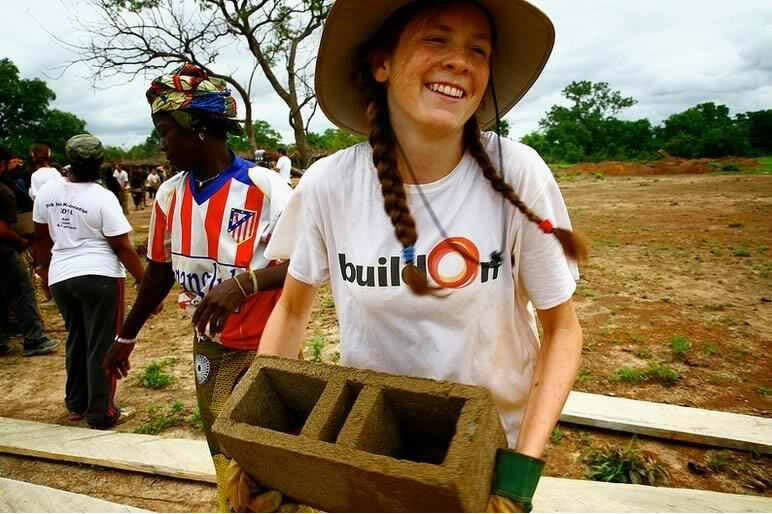 Active in both the United States and abroad, buildOn’s mission is to “break the cycle of poverty, illiteracy and low expectations through service and education.” To do this, the international nonprofit runs youth service after-school programs in the United States, and constructs schools in developing countries. buildOn was founded by Jim Ziolkowski, who was inspired to make a difference following his travels through impoverished countries. He returned home to a corporate finance job at GE, quit, and then started buildOn in 1991. “Mali suffers from one of the globe’s lowest literacy rates at 31.1%, and only 20.3% for females. Nearly one in six people around the world cannot read or write leaving a devastating impact on economic security, personal autonomy and health. No country has ever achieved continuous and rapid economic growth without first having at least 40% of its adults able to read and write. Worldwide, there are 57 million children of primary-school age without access to a classroom. To participate in Passports with Purpose 2013, please visit PwP’s Donate Page or Prize Catalogue where you can not only contribute, but also enter to win a variety of prizes such as electronics, photography gear and travel-related getaways. The fundraiser runs from today through December 9, 2013, at 11:59 PM Eastern Time. As noted on the PwP website, no purchase is necessary to enter, though a $10 donation per raffle entry is appreciated for this year’s fundraising efforts. *Photos used with permission from © buildOn ‘s Flickr stream). Sounds like a great organization. I’d like to look at volunteer opportunities they offer, too. Thanks, Mark. It feels good to help spread the word about the great work these two organizations are doing! Wonderful post Tricia, and the photos were so uplifting.. thank you for telling us about it… hope it spreads and spreads.. Thank you, Valerie. For these wonderful pictures, I tip my hat to buildOn’s photographer. Such happy, smiling faces!